As a small business owner we love hearing feedback about our products, service and business in general. After all, who doesn't love talking about small business at a barbeque and how many friends and family are just plain interested in their own business. But with all feedback - there is the potential for opinion and personal agendas and that is what I want to touch on in today's blog post. First, some background. We have been in business for coming up to eight years now and over this time we have had positive and negative experiences with customers and clients across all types of circumstances. Honestly, I can say that in over ninety five percent of interactions the order, product and delivery goes effortlessly - everything performs as expected and all systems operate as designed. Next, there are the other maybe three percent of times where there is something to complicate the order. Perhaps a wrong delivery address is provided by the purchaser, or a delivery recipient moves from one hospital ward to another, or the courier is unable to access the property for unforeseen circumstances. This means we have to spring into action and find solutions on the go to resolve the issue and ensure that the fruit basket arrives in a timely and presentable manner. Again, in the vast majority, we're talking 90% plus, things are amicably resolved and the product gets to where it has to go. But this still leaves the odd order that just doesn't work - for whatever reason - be it the person has left for interstate by the time the product arrives, or the courier doesn't get the package to the hospital ward before the person leaves the bed. 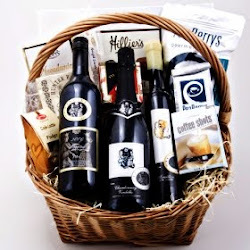 Or the hamper cannot be delivered on the specific day due to a holiday or illness or lack of staffing. It simply does happen in the course of business and there is little you can do about it in those rare occasions it actually hits the fan. Now, we are prompt to offer a refund or replacement as a matter of course and in most cases this is sufficient - even if it does mean to some extent we self insure every parcel we ship in terms of having to replace or refund it if something goes astray. That's just business and that's what keeps our margins tight. But it is disappointing to see negative reviews - especially when you have done your best and given a full refund - and only to see the disgruntled person storm off and write a negative review in the heat of the moment when every avenue has been exhausted. I am sure most negative review writers would cringe if they were to read what they wrote a few weeks later and feel ashamed and embarrassed at their unwarranted vitriol. But then, that's a new aspect of business where the online review can stay in cyberspace for years afterwards and garner warning s from new customers that they are cautious for a single event that happened years ago. So I feel better now, not justifying or explaining negative reviews away, but perhaps putting some perspective on what motivates a person to go to great lengths to write a negative review in the first place. I am sending out my forgiveness and sympathy that the person chose this route, and offer my sincere apology that they felt so embittered and angry that venting their spleen publicly was the only way they could possibly feel as though they would avenge their anger. To you, I say sorry, and to myself and my business, I say we will continue to strive harder and work tirelessly to avoid further incidents. There are some really lovely ways to instantly connect and have same day delivery for your thoughts of thanks. 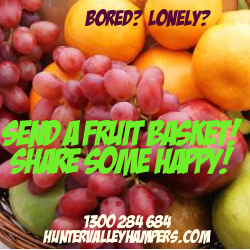 Sharing #huntervalleyhampers and taking in some beautiful #gourmethampersaustralia is what is is all about - have you seen the #huntervalleyclassic it's a timeless classic.